Recently, I have been obsessed with some of their upcoming official items, which can actually be used in daily life, and not just for display! 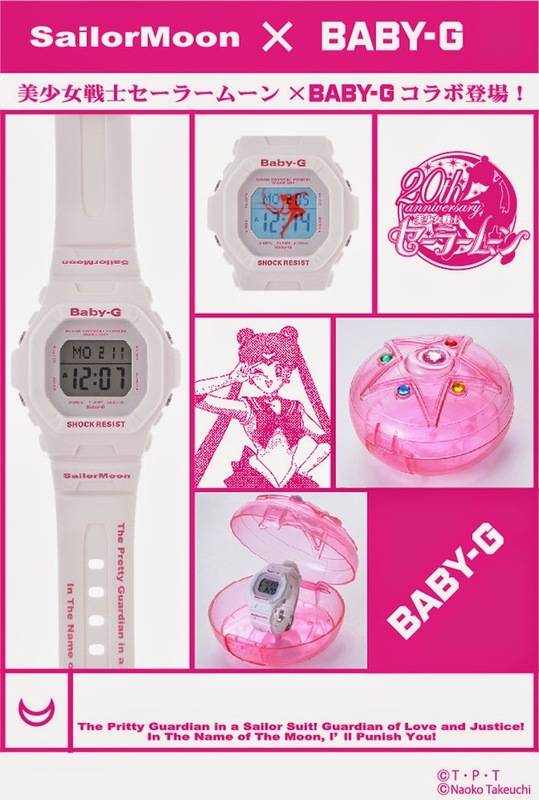 First of is this awesome Baby G watch! 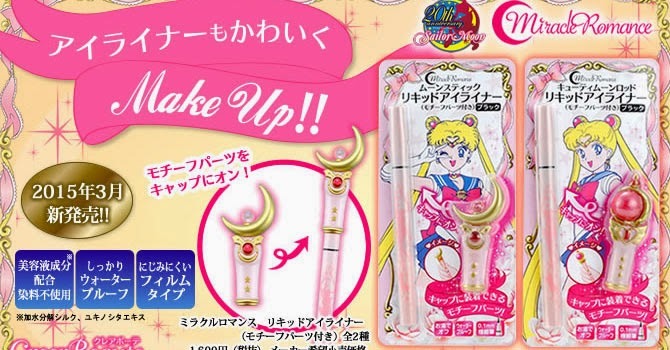 Next is the Sailor Moon Moon Stick and Moon Rod Eyeliners! These are some of the newer make up releases for PGSM, and even though I don't wear make up, I would definitely buy/order these just because I want to hold and own a moon stick and a moon rod! Won't you feel magicaler when you put on make up with these? hohoho! Now I will put on make up, if I can use this everyday! 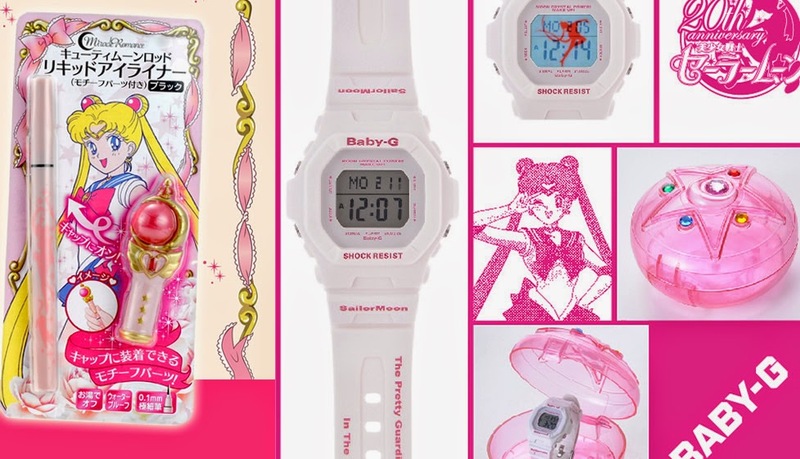 I would bring it everywhere I go in case Zoizite, Kunzite, Nephrite and Jedite attacks! yuh I kinda like them cos they're ikemen villains lol! Retail price is at 1,728 JPY each and will be available on March 10 2015! you can also pre order them (again which I might do lol) on the Premium Bandai site! The last thing on this list for now are these super cute Miniature Tablets! These are super cute Sailor Moon brooch cases with Peach Mint flavored candy tablets inside! The cases are designed with Rhine stones and the paint works for this is very accurate and very cute! Even after you finish all the candy, you can use these as keychains and you can collect them all! lol! Retail Price is 450 JPY each and they will be released sometime in June of this year! For now, this is my wishlist line up for the first half of 2015!